We really dislike how fanatical Christians and legalistic preachers have horribly tainted the biblical term “repentance.” Our culture usually associates the words “repent” or “repentance” with men screaming about the rapture on street corners, waving King James Bibles in one hand and passing out apocalyptic leaflets in the other. This is a great tragedy, because the biblical notion of repentance is such a beautiful and life-changing concept. How does repentance relate to non-Christians? 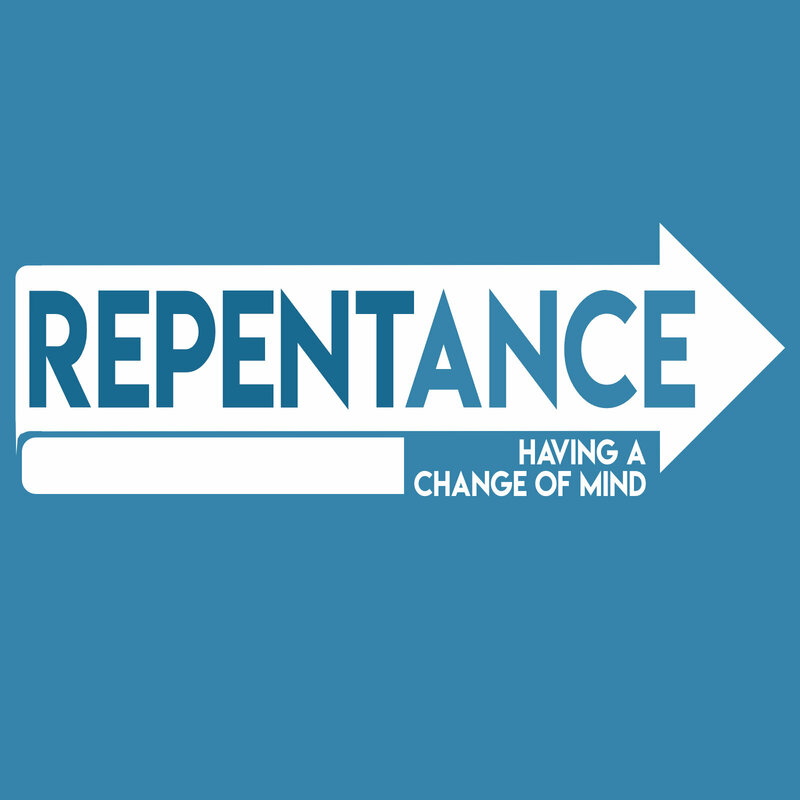 When the NT uses the term “repent” or “repentance” for non-Christians, the context usually refers to having a change of mind toward God. Paul spoke about a “repentance toward God and faith in our Lord Jesus Christ” (Acts 20:21). Later, Paul said, “[The Gentiles] should repent and turn to God, performing deeds appropriate to repentance” (Acts 26:20). Paul believed that it was “the kindness of God leads you to repentance” (Rom. 2:4). By contrast, those with an “unrepentant heart” (ametanoētos) will face God’s judgment (Rom. 2:5). The author of Hebrews writes about a “repentance from dead works and of faith toward God” (Heb. 6:1). Here, the message is to change our mind about a legalistic, works-based righteousness, and falling on the free grace of God. Jesus spoke in similar terms. He said, “Repent and believe in the gospel” (Mk. 1:15). That is, people should have a change of mind about God, turning to trust in him. Jesus taught that it fills God’s heart with joy when “one sinner repents” (Lk. 15:7). In fact, it was Jesus’ central mission to call “sinners to repentance” (Lk. 5:32). God can “grant repentance” (Acts 5:31; 11:18; 2 Tim. 2:25), which likely refers to permitting people to come to Christ. Peter writes that God does not want “any to perish but for all to come to repentance” (2 Pet. 3:9). Therefore, God can open the door and give us an opportunity to repent, but we have to choose to have a change of mind. How does repentance relate to spiritual growth? When believers are stuck in a persistent sin habit or a massive moral failure, they often ask, “What does it look like to repent of this?” Or they might say, “I want to change, but I don’t know how to repent.” Of course, it’s possible that a believer could be saying that they don’t know how to repent, when they really don’t desire to repent. But at the same time, many believers have never understood this important aspect of spiritual growth. What is at the heart of biblical repentance? And what does it look like to truly have a change of mind before God? When we fall into sin, it’s easy to focus on the wreckage that sin has caused in our lives or in the lives of others. Like all other aspects of the Christian life, we cannot begin by focusing on ourselves or on other people. Instead, we need to consciously pull our focus onto God. Even after being caught in the sins of adultery and murder, David prayed, “Against you, and you alone, have I sinned; I have done what is evil in your sight” (Ps. 51:4 NLT). While this is surely hyperbole, this claim is completely at odds with our common experience. That is, we have a natural inclination to focus on ourselves or others when we fall into sin, and only consider God afterwards. But without a deliberate turning to God, we will never find true repentance. (1) We experience joy because we lose the persistent, low-level guilt that comes from hiding and lying about our sin. When we construct a web of lies, we constantly think about keeping our story straight. We need a constant recall on keeping our story straight with each individual person we know. Such an experience is exhausting! David wrote, “When I refused to confess my sin, my body wasted away, and I groaned all day long. 4 Day and night your hand of discipline was heavy on me. My strength evaporated like water in the summer heat” (Ps. 32:3-4 NLT). Solomon wrote, “People who conceal their sins will not prosper, but if they confess and turn from them, they will receive mercy” (Prov. 28:13 NLT). Have you had this experience? What was it like for you to constantly feel the fear and anxiety of eventually being exposed? Did every Bible study seem to focus on your hidden sin? Did your time in prayer constantly drift back to that hidden secret in your life? It is a great relief to give up on our hypocrisy and lying. It feels good to live with a clear conscience, which is actually one of the central goals of the Christian life “clear conscience” (Acts 24:16; 1 Tim. 1:5; 3:9). (4) We experience joy because we see how God can use this in other people’s lives. It’s funny how God can change us from people who want to hide our moral failings to those who are excited to share them for the benefit of others. This kind of transparency is a real-life demonstration of the power of God’s grace, and it often gives others the needed encouragement to get the healing and help with their own hidden problems. Outward conformity without inward change. At the heart of repentance is a change of heart. Any outward change without inward renewal will result in short-lived change, but not lasting growth. God can tell the difference between lip-service and a true change of heart. Isaiah wrote, “These people come near to me with their mouth and honor me with their lips, but their hearts are far from me” (Isa. 29:13 NIV). Trying to control the consequences of our sin. David was forgiven for his sin (2 Sam. 12:13), but he still had to face the consequences of his sin. David’s sinful choices had an effect on his family and his leadership for the rest of his life. While God can bring substantial healing, he also respects the gravity of our choices. God can miraculously remove the consequences of our sin (and sometimes he does! ), but he has never promised to fix these consequences according to our demands. After we have a true encounter with God through repentance, we need to trust ourselves to him in how he wants us to move forward. Asking for quick fixes to remedy the problem. Instead of asking for people to spell out how to move ahead, repentance should begin with personal, inner convictions from God. It’s scary when someone claims to be repentant, but has no convictions on how to move forward. As spiritual friends and leaders, we should resist giving people hoops to jump through after a fall into sin. Instead, we should urge the person to turn to God and hear how he wants to direct them. Agreeing on the wrongdoing, but not the solution. Judas definitely agreed with God that he had committed a heinous sin in betraying Jesus (Mt. 27:4), but this did not result in repentance—only further regret and remorse (Mt. 27:3, 5). We should listen carefully to others (and ourselves) for qualifying language like this (e.g. “if” “but” or “maybe”). This isn’t just semantics: language like this shows signs of an unrepentant heart. Of course, other people may have contributed to our sin, but we are responsible for ourselves—not their contribution. Repentant people do not focus on the speck in someone else’s eye, but the log in their own (Mt. 7:3-5). An inability to call something sin. Our culture has virtually lost the language of sin. Many people call their sin a “mistake” or an “error.” But this fundamentally flawed. A “mistake” is when you accidentally trip on your shoelaces, and an “error” is when you answer incorrectly on a test. A “sin” is a decision to be selfish toward people and operate independently of God. In order to find freedom from sin, we need to call it what it is. How does your experience of repentance line up with the biblical picture expressed above? What are one or two aspects of repentance that jump out at you from the reading? Read Psalm 32 and Psalm 51. Write out key insights that you get about the nature of repentance from David. Specifically, take notes on what repentance is and what repentance is not from these chapters. Listen to a teaching on the difference between Peter and Judas (like this one). What insights did you get from this teaching? How does this compare with your experience of repentance? History of the term metanoia in Classical Greek. Greek lexicons are unanimous on the fact that Classical Greek usage of metanoia is no help in defining this term for the NT. History of the term metanoia in the Septuagint (the Greek translation of the OT). The noun form (metanoia) is never used in the Septuagint (the Greek translation of the OT). The verb form (metanoeō) is used to translate the Hebrew term niham, which refers to feeling bad or regretful (see 1 Sam. 15:29; Jer. 18:8; Joel 2:13ff; Amos 7:3, 6). This is important, because Lordship theologians generally try to make repentance synonymous with an outward moral change, rather than a change that begins first and foremost in the heart. We should confuse the fruit of repentance with the root of repentance. Usage of the term metanoia in the NT. The term metanoia is only used six times by Paul (the verb form is only used once). The term metanoia appears nowhere in John’s writings (except for the book of Revelation). Instead, John normally emphasizes “faith” in Christ. Goetzmann, J. (1986). μετάνοια. L. Coenen, E. Beyreuther, & H. Bietenhard (Eds. ), New international dictionary of New Testament theology (Vol. 1, p. 357). Grand Rapids, MI: Zondervan Publishing House. Behm, J., & Würthwein, E. (1964–). G. Kittel, G. W. Bromiley, & G. Friedrich (Eds. ), Theological dictionary of the New Testament (electronic ed., Vol. 4, p. 999). Grand Rapids, MI: Eerdmans. See Goetzmann, J. (1986). μετάνοια. L. Coenen, E. Beyreuther, & H. Bietenhard (Eds. ), New international dictionary of New Testament theology (Vol. 1, p. 357). Grand Rapids, MI: Zondervan Publishing House. Behm, J., & Würthwein, E. (1964–). G. Kittel, G. W. Bromiley, & G. Friedrich (Eds. ), Theological dictionary of the New Testament (electronic ed., Vol. 4, p. 991). Grand Rapids, MI: Eerdmans. Wilkin, “Repentance: Lexical Considerations,” JOTGES 2:16. Goetzmann, J. (1986). μετάνοια. L. Coenen, E. Beyreuther, & H. Bietenhard (Eds. ), New international dictionary of New Testament theology (Vol. 1, p. 358). Grand Rapids, MI: Zondervan Publishing House. Goetzmann, J. (1986). μετάνοια. L. Coenen, E. Beyreuther, & H. Bietenhard (Eds. ), New international dictionary of New Testament theology (Vol. 1, p. 359). Grand Rapids, MI: Zondervan Publishing House.